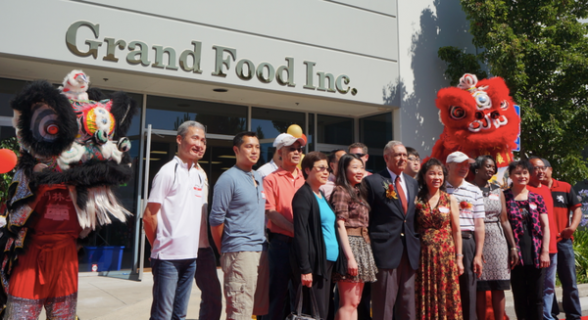 For 30 years, Grand Food has been a leading meat purveyor to restaurants, markets, Institutions, and foodservice operators in the San Francisco Bay Area. From our humble beginning as a tiny supermarket on Grand Avenue in South San Francisco, we continue to grow and thrive because we share your passion for food and customer service. Through our knowledgeable staff, unique inventory of special products, and custom processing, we can provide the land and sea food ingredients that can satisfy the hungriest and most demanding customers. We source our products from the top suppliers in California, and throughout the world. Poultry products from Petaluma Poultry, Perdue, Townsend, Red House, Wayne Farm, Foster Farms, Southeast Poultry, and lots more. Beef from IBP Tyson, Nebraska Beef, Cargill, Excel, Central Valley Meat. In addition, we have Angus Beef, Wagyu ,and Kobe beef. Pork from Farmland, IBP, Olymel, Seaboard, duBreton, and Vion farms. We have access to full Organic, anti-biotic free, natural, and humanely-treated Pork. Lamb from USA and Australia imports. Whole carcass, shoulders, legs, and chops. Seafood from Bird River, CoCo, and other top brands. We know that you have numerous fantasies that you want to realize! We’re here to make that process easy for you–so you can focus on the dreaming part. We provide meat and seafood of the finest quality at unbeatable prices. And to top it off, our custom processing can produce the cuts that simplify kitchen cooking. Contact us today to make your restaurant an even better one!